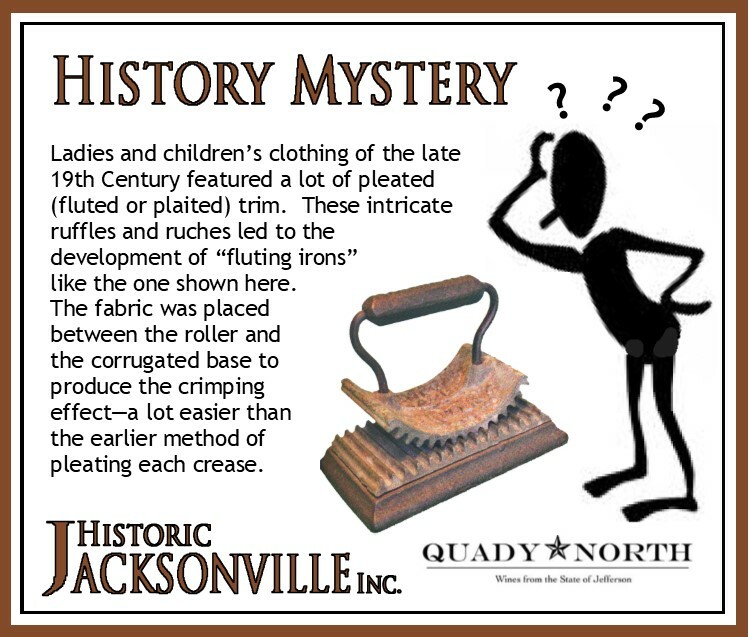 History Mystery | Historic Jacksonville, Inc.
All the holiday activities have us taking a breather, but come time for spring cleaning, we expect to be back exploring Great Grandma’s attic. As we find 19th Century objects that have us completely puzzled, we’ll be asking you to help us solve their purposes in more History Mystery guessing games! In the meantime, do enjoy the unique shopping and dining experiences our Jacksonville merchants offer and be sure to thank them for all the items, gift certificates and services they provide that make our History Mystery games so much fun! 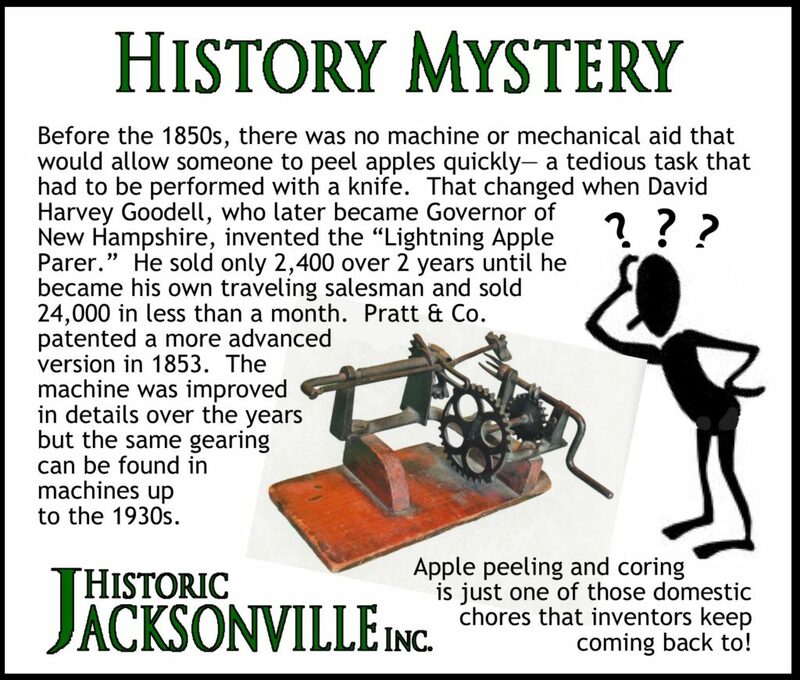 Andy Alexson correctly identified our November 2018 History Mystery as an apple corer/peeler and won a $25 gift certificate valid at any Jacksonville merchant. 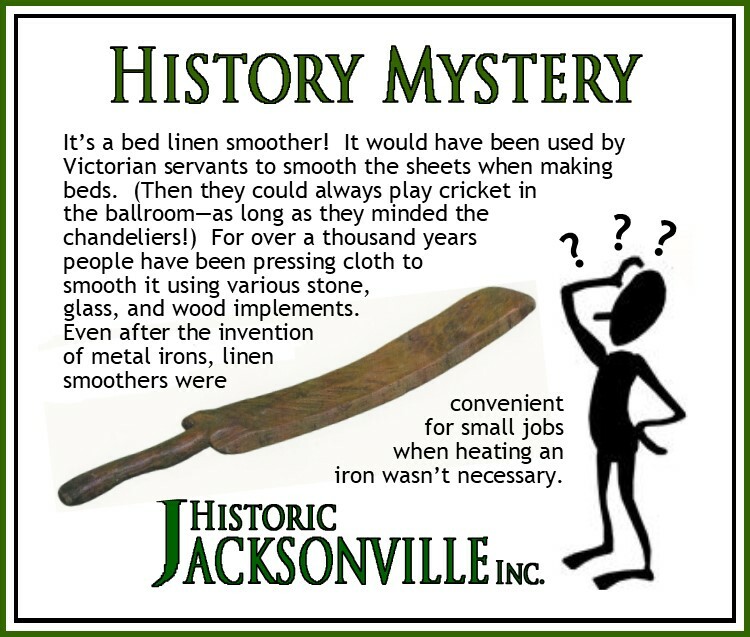 Clarkie Clark correctly identified our October 2018 History Mystery as a bed linen smoother and won a $25 Jacksonville Chamber of Commerce gift certificate valid at any Jacksonville merchant. 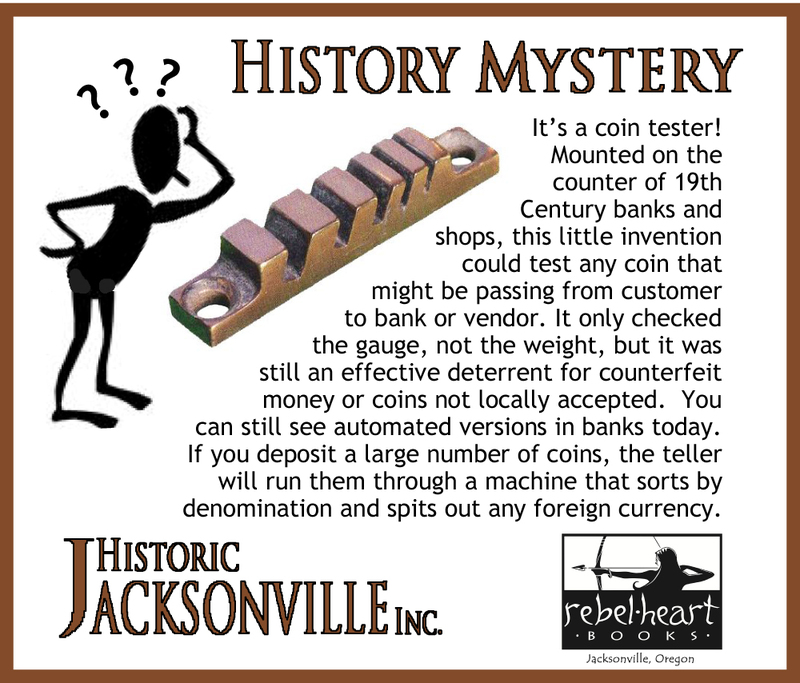 Kathy Koehler correctly identified our March 2018 History Mystery as a coin tester and won a $25 gift card to Rebel Heart Bookstore in Jacksonville and their treasure trove of books! The winner of our November 2017 History Mystery was…. 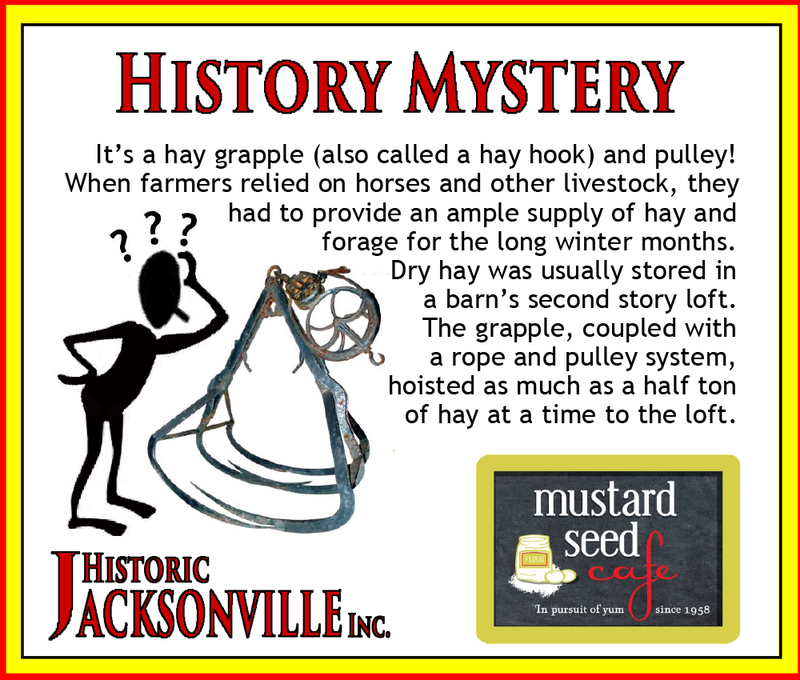 Shirley Culver correctly identified our November 2017 History Mystery as a hay grapple and hoist and won a $25 gift card to the Mustard Seed Cafe–a favorite Jacksonville breakfast and lunch spot! The winner of our October 2017 History Mysterywas…. 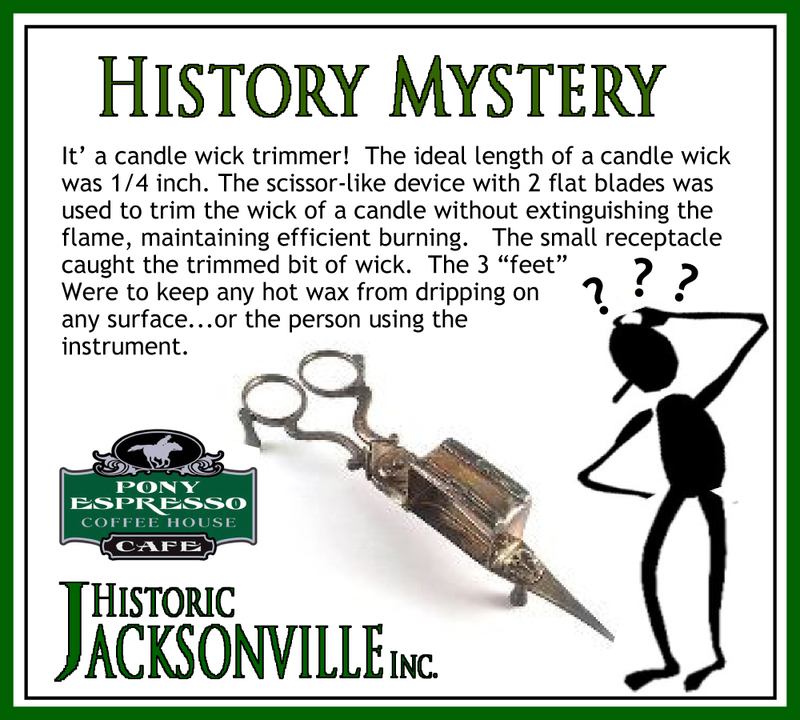 Char Walker correctly identified our October History Mystery item as a candle wick trimmer and snuffer and won a $25 gift card from Pony Espresso — Jacksonville’s only “drive through” — for coffee, tea, lunch, and more! The winner of our May 2017 History Mystery was…. 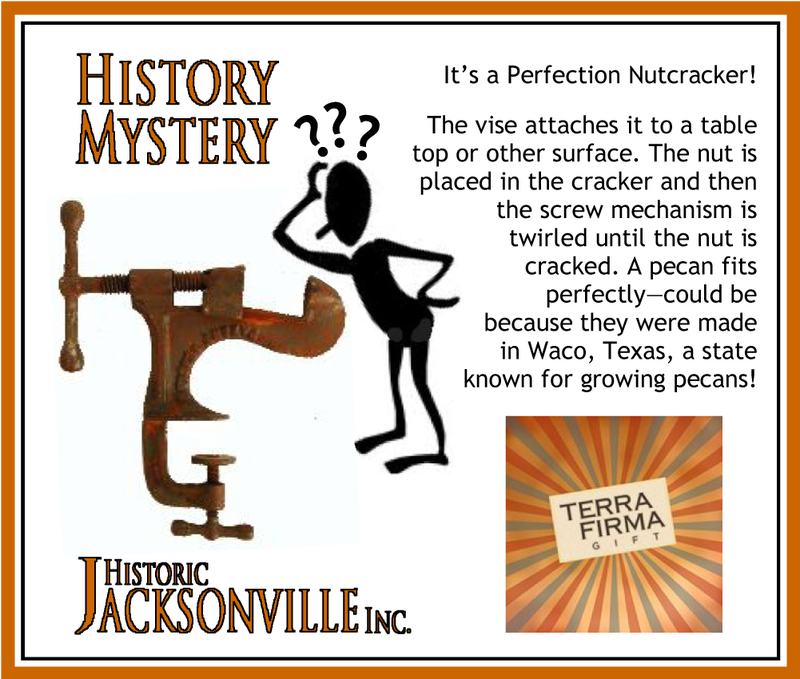 Mindy McEntire correctly identified our May History Mystery item as a “nutcracker” and won a $25 gift certificate to Terra Firma Gift — a great source of “toys” for both kids and adults! 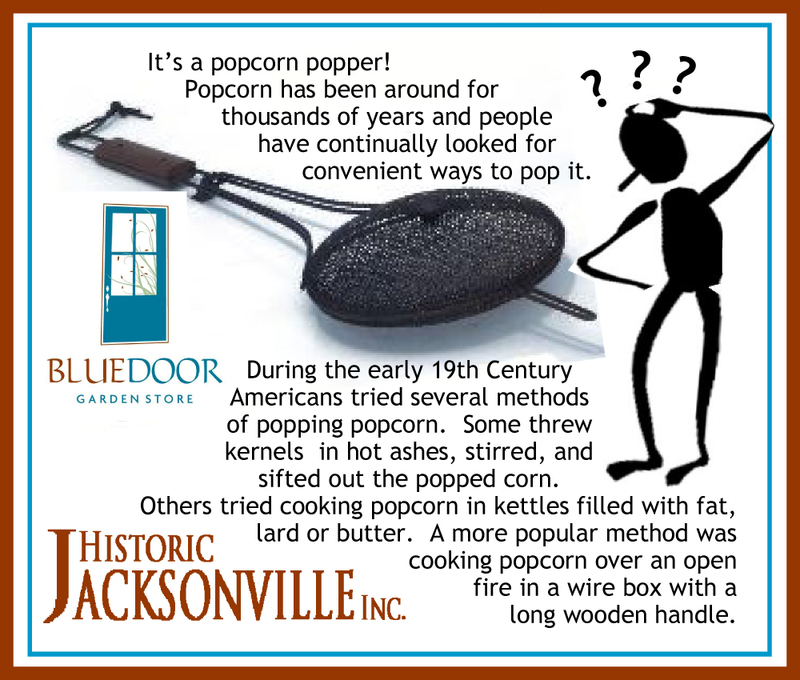 Linda Reeder correctly identified our April History Mystery as a “popcorn popper” and won a $25 gift certificate to BlueDoor Garden Store — just in time for spring planting! 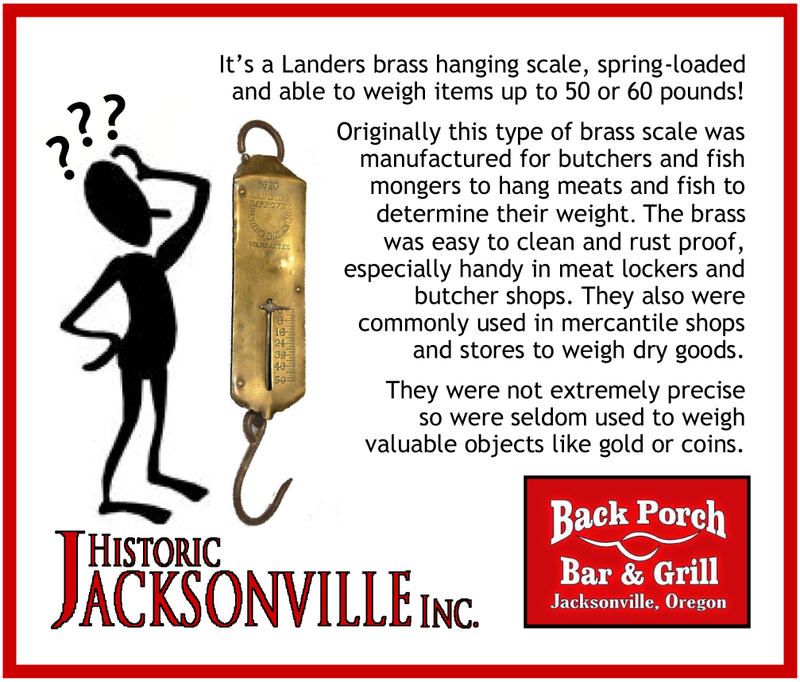 Lee McColly correctly identified our March History Mystery as a “hanging scale” and won a $25 gift certificate to Back Porch Bar & Grill and their great Texas style BBQ, 1/2 pound burgers, steaks, pasta, and more! 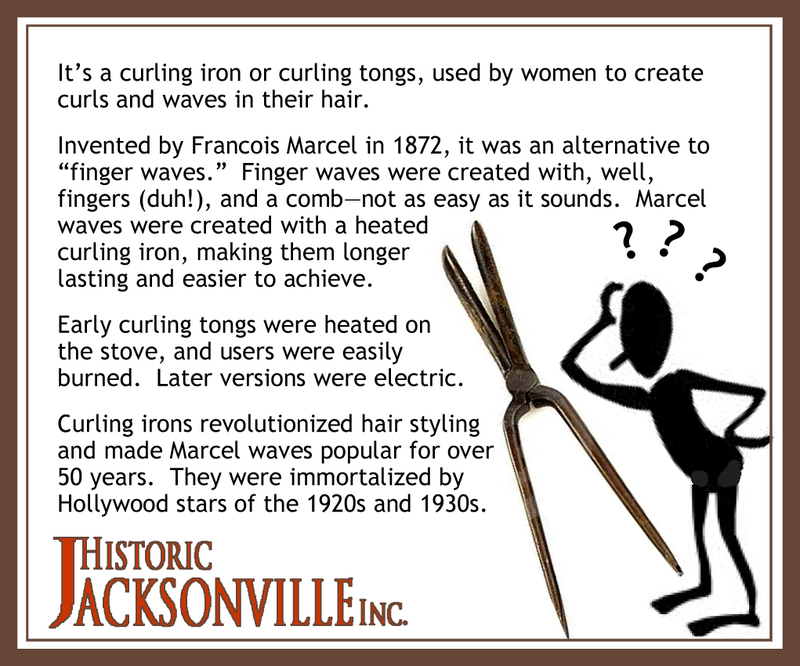 Joanne Manasco correctly identified our April History Mystery as a “curling iron” and won a $25 gift certificate to Pico’s and their great selection of eco-friendly, recycled, fair trade clothing, gifts, and handicrafts. 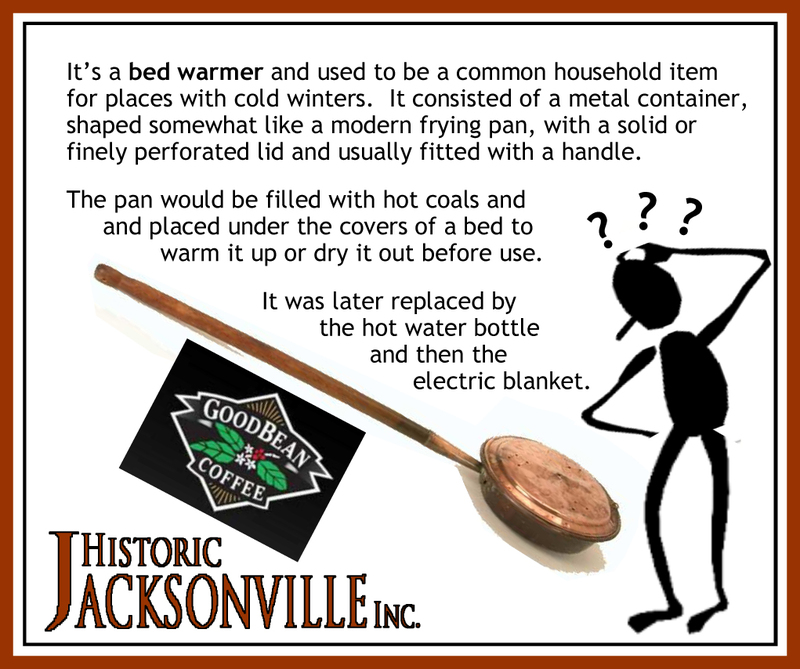 Eva Wickliffe correctly identified our March History Mystery as a “bed warmer” and won a $25 gift card from the Good Bean. 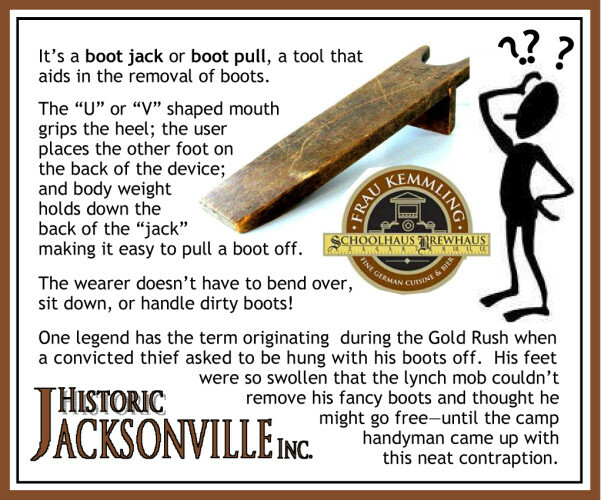 Darla Baack correctly identified our February History Mystery as a “boot jack’ and won a $25 gift card from Frau Kemmling’s Schoolhaus Brewhaus. 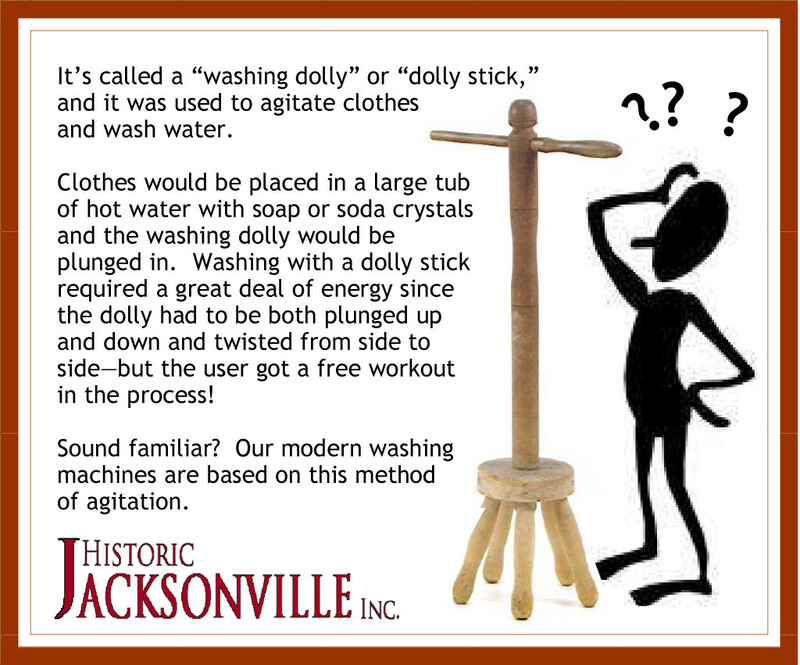 Angel Garcia correctly identified our November History Mystery as a “washing dolly” or “dolly stick” and won a $25 gift certificate from Scheffel’s Toys and More. 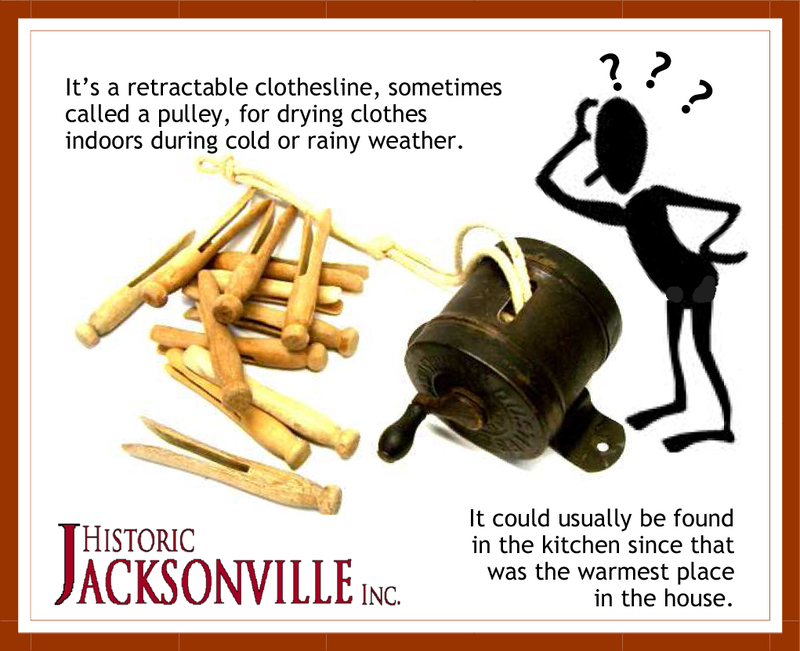 Patricia Trefen correctly identified our October History Mystery as a retractable clothesline and won a $25 gift certificate from La Fiesta Mexican Restaurant in Jacksonville. 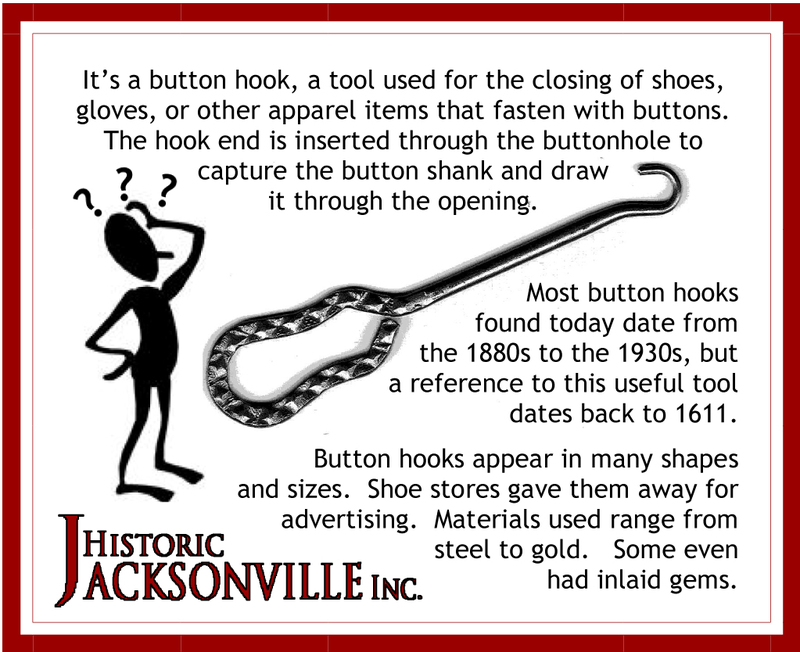 Lorraine Taylor correctly identified our September History Mystery as a button Hook and won a cooking class with Constance Jesser at The Jacksonville Mercantile. 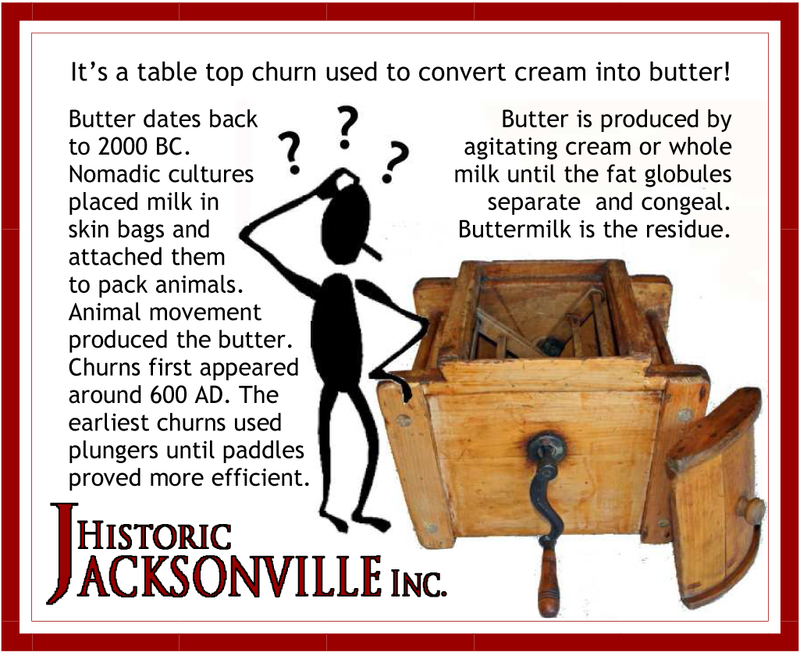 Chris Crum correctly identified our August History Mystery as a table top butter churn and won a $25 gift certificate to C Street Bistro. 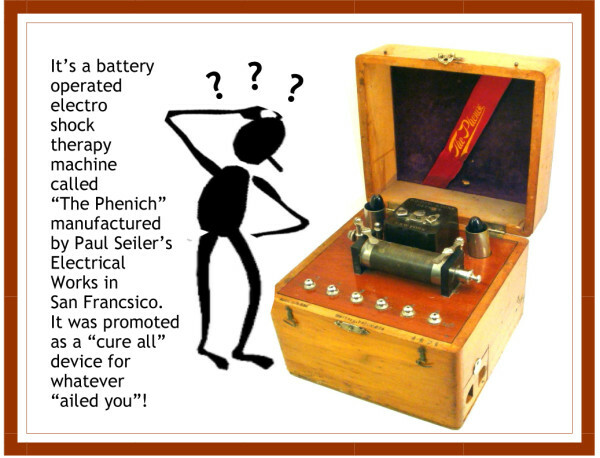 Patti Keck correctly identified our July History Mystery as an electro shock therapy machine and won 2 bottles of wine from South Stage Cellars in Jacksonville. 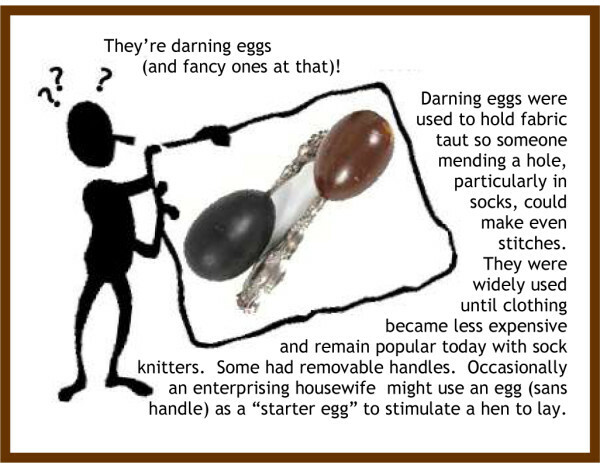 Genie Gilliam correctly identified our History Mystery as darning eggs and won a $25 gift certificate from WillowCreek in Jacksonville. 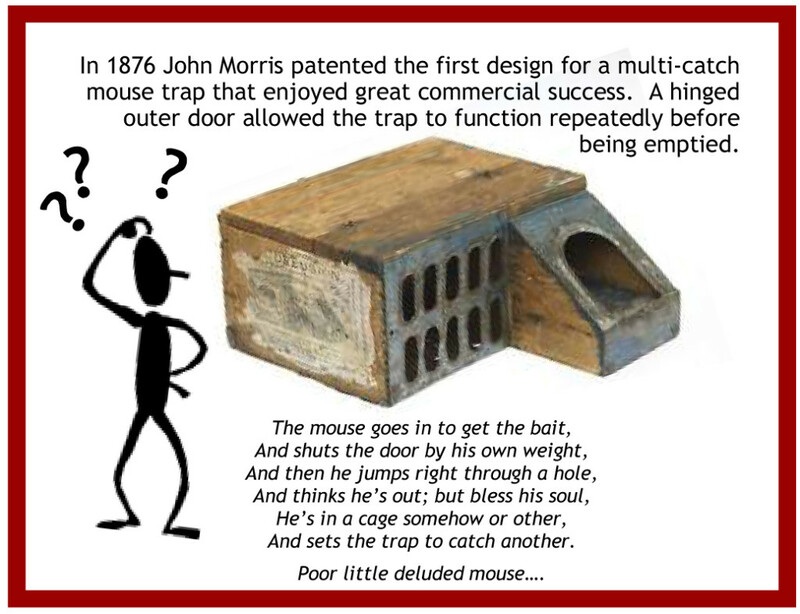 Linda Young correctly identified our History Mystery as a Delusion Mouse Trap and won 2 pounds of fabulous fudge from Farmhouse Treasures. And the winner of our April 2015 History Mystery drawing was…. 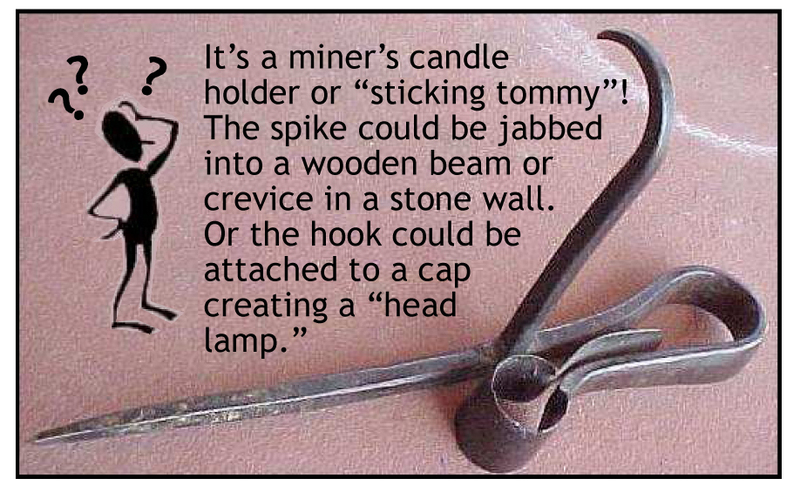 Tim Johnson correctly identified our History Mystery as a “sticking tommy” and won our drawing for a $25 gift certificate to the Bella Union Restaurant & Saloon.